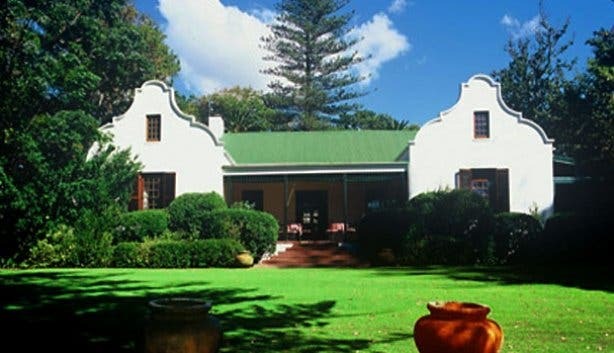 Wine estate restaurants in Constantia | eating out Cape Town. First cultivated by wine enthusiast Simon van der Stel in 1685, Constantia Valley lies to the east of and at the foot of the Constantiaberg Mountain. The farm has since been divided into smaller estates, each with a unique heritage. You’ll find equally unique restaurants on these estates, offering great food and wine in historic surroundings. Dine on classic South African dishes including real bobotie with yellow rice and sambals. An ideal setting for weddings and functions, the restaurant overlooks False Bay and there are spacious lawns for kids to play on. A balance of indoor and outdoor sections; this contemporary restaurant offers a wide variety, from line fish to Karoo lamb. Head chef Clayton Bell has earned an international reputation for his Mediterranean Provençalcuisine. We thought Constantia Uitsig was one of the most tranquil restaurants to hang out in the whole of Cape Town. River Café has long been a popular social haunt in the Constantia Valley. Revered for its sumptuous breakfasts, River Café offers an assortment of freshly baked pastries, cakes and muffins complimented by a café style menu. Using the freshest local ingredients and wines sourced from the Constantia Valley, River Café provides the perfect setting for leisurely breakfasts, lunches and afternoon teas. Linger at this Provence-inspired restaurant for a long and indulgent tasting menu prepared by chef, Scot Kirton. Our La Colombe highlight was Alaskan king crab, with truffle mousse, soft-boiled quail eggs and horseradish foam. 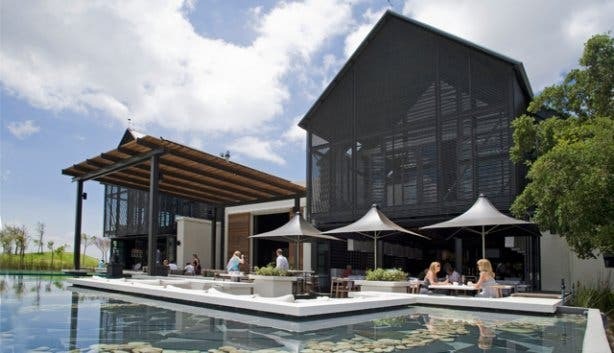 This cellar door restaurant offers daytime dining to complement the Steenberg Winery, Wine Tasting Bar and Tasting Lounge. Indulge in summer bites including beef tataki – chilled, seared slices of Chalmar fillet served with ginger, chili, lime and sesame. 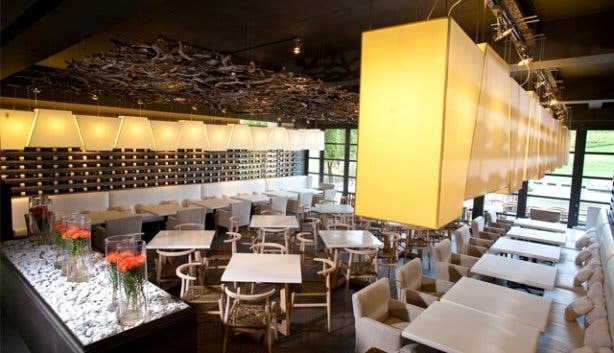 Expect inventive South African cuisine from executive chef Garth Almazan in a gracious restaurant characterised by avant-garde décor and contemporary artworks with views of the Steenberg mountains. You’ll find aubergine terrine, served with tomato and lentil purée, sweet pepper and tomato tart on their Meat-Free Mondays’ menu. 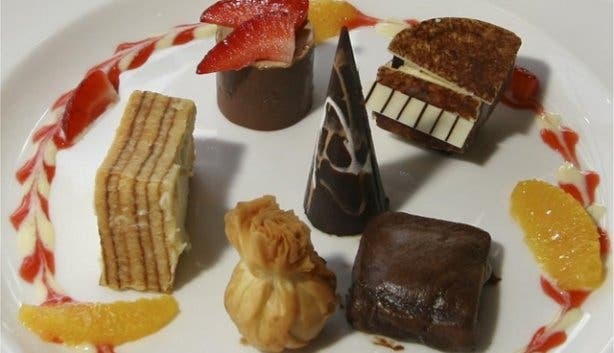 Austrian chef Edgar’s molecular gastronomy has been compared with Heston Blumenthal's Fat Duck. Tuck into grilled springbok and prune-rolled fillet in stunning surroundings. 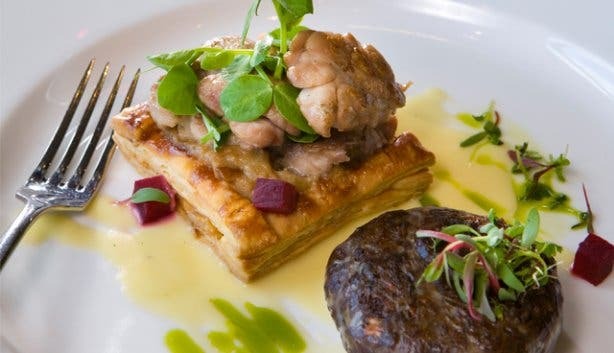 Read our overviews of restaurants at wine estates in Stellenbosch, Paarl, Franschhoek, Somerset West and Durbanville.